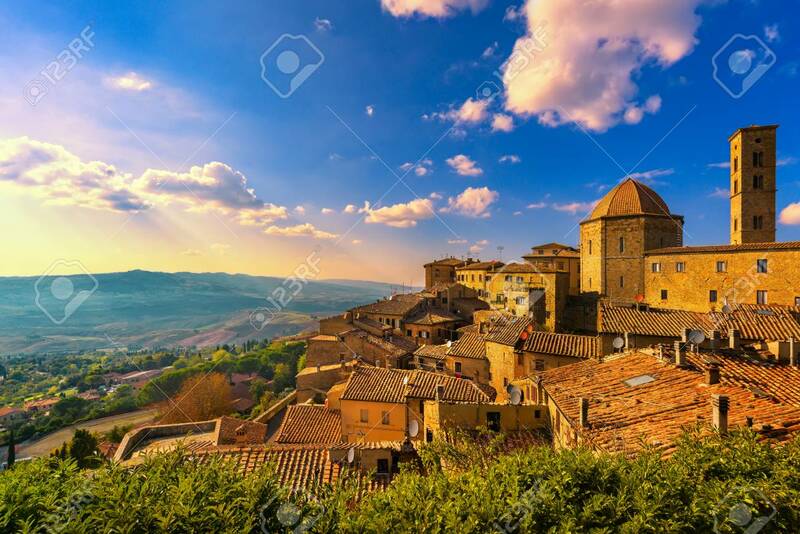 Tuscany, Volterra Town Skyline, Church And Panorama View On Sunset. Maremma, Italy, Europe Banque D'Images Et Photos Libres De Droits. Image 91659228.